Mention fruit for dessert and you typically think of something sweet to end a savory meal. From apples to watermelon and most everything in between, but there are exceptions, and avocado is one of them. Avocado is actually a fruit, and a very popular one, but not for its sweetness. Avocado is produced in tropical and sub-tropical climates around the world, including some regions of the United States. Just in Florida, there are over 56 different varieties grown, categorized by the summer, fall, or winter growing seasons. 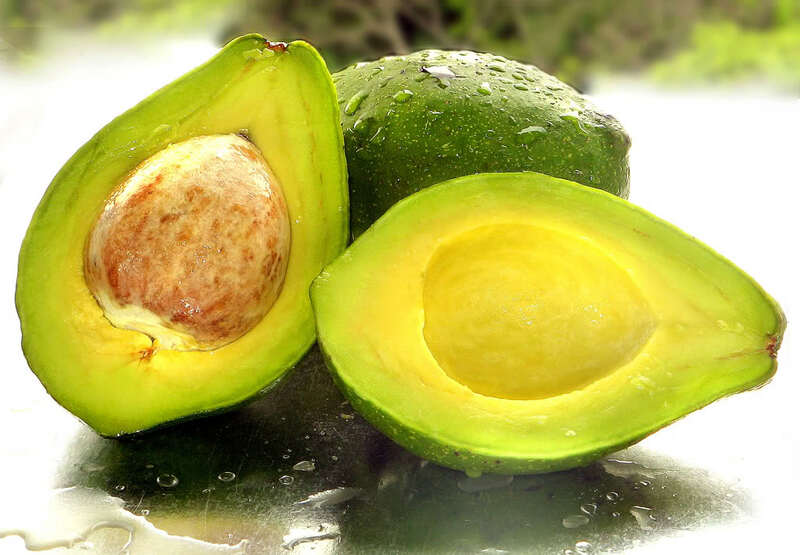 Although avocado is a fruit, it contains one of the highest amounts of fat compared to other fruit. But, it is a healthy fat, primarily unsaturated, with a very small amount of saturated fat and no trans fat or cholesterol. It is also a good source of potassium and fiber. Avocado has a distinct, mild flavor with a rich, creamy texture that complements the flavors and textures of other foods. Whether eaten plain or in mixed dishes, avocado is one of those foods that tends to show up in variety of recipes. Once the large pit is removed, the flesh can be sliced, diced, mashed, or pureed and added to sandwiches, salads, main and side dishes, dips like guacamole, smoothies, pesto, salad dressings or even spread on bread and crackers. But that is just the beginning. Because of it neutral flavor and creamy texture it can be used in place of other fats in some baked products. USDA’s What’s Cooking? Mixing Bowl is a great place to start searching for avocado recipes, plus a whole lot more about food in general including menu planning and nutrition. Ready to try avocado or better yet, rediscover how nutritious and delicious this little gem is. Then check out South Florida Tropicals: Avocado, a UF/IFAS Extension EDIS publication that provides a variety of information from varieties and availability; selection, ripening, safe handling, and storage; nutritive value; basic preparation; and a few recipes, from the most popular guacamole to avocado spaghetti salad. Extension Agent IV Health, Nutrition, and Food Safety UF/IFAS Extension Marion County.